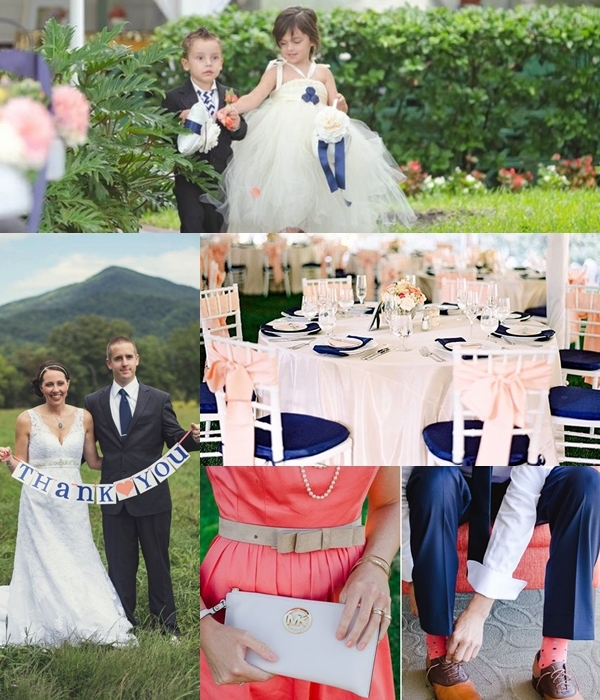 Searching for a right color scheme for your wedding? How about this one – shades of navy blue and coral? 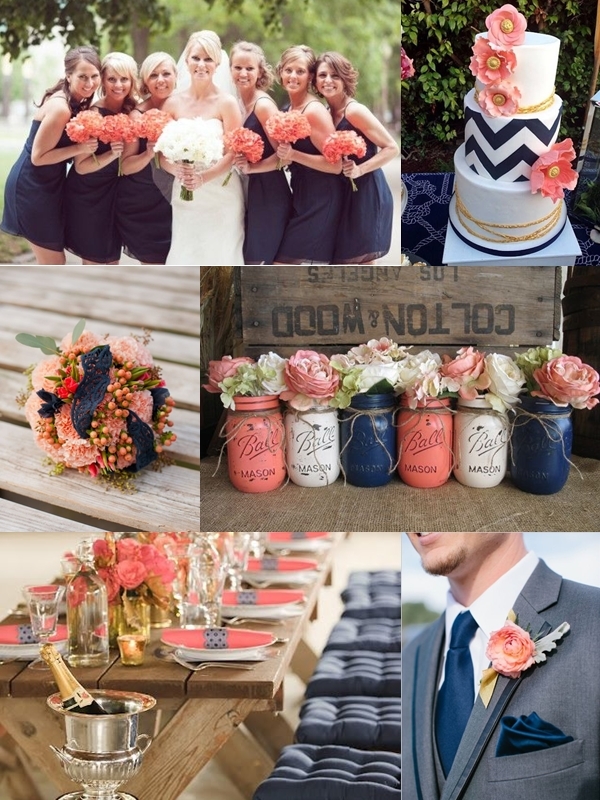 I like the way that navy blue contrasts with coral because they truly do pop when matched together. This is one of my favorite color motifs for summer. 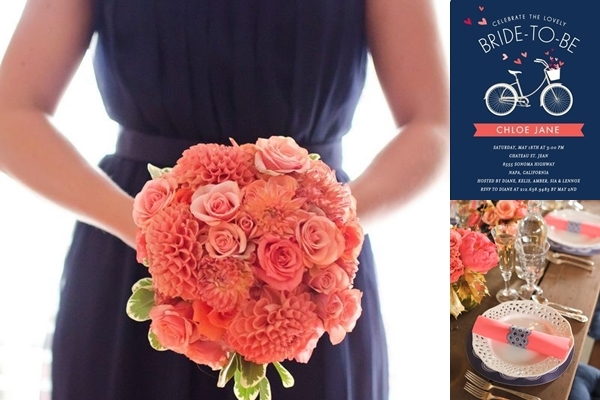 Vibrant and sophisticated, this is a great color idea for beach, seaside or nautical weddings. Have a look at the gallery and tell us what you think of it. So what do you think? Are you feeling inspired by this summer palette?